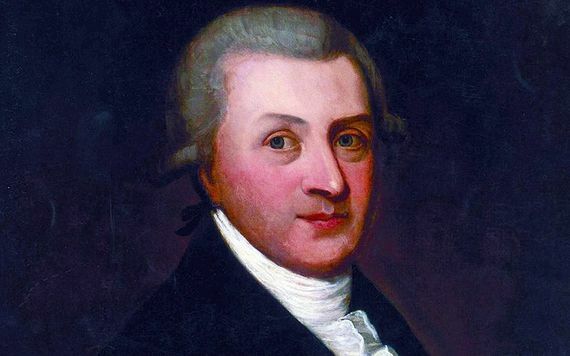 Arthur Guinness was Born on the 28th of September 1725 to Richard and Elizabeth Guinness. His Father Richard worked as an agent for the cleric Dr. Arthur Price, A Church of Ireland Archbishop. Dr. Price died in 1752 bequeathing £100 each to Richard and the then 27-year-old Arthur Guinness. That £100, which was the equivalent to four years wages, allowed Arthur to set up his first brewery, in 1755, on a site in Leixlip, County Kildare. 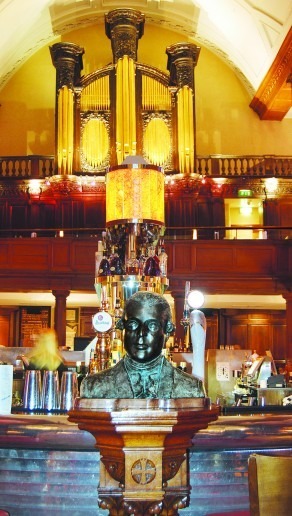 n 1759 the Kildare Native, Arthur Guinness, signed a 9,000-year, lease on St. James’ Gate Brewery in Dublin. In 1761 Arthur Guinness married Olivia Whitmore here at St. Mary’s Church, Today, St. Mary’s Church is our very own renovated bar and restaurant! The couple remained together until the 23rd of January in 1803 when Arthur passed away in Gardiner Street in Dublin, at the age of 78. Olivia passed 11 years later at the age of 72 in March, 1814. The couples remains still lie together in Arthur’s mother’s plot at Oughter Ard in County Kildare. The Guinness brewery is now owned and run by Diageo PLC, a global conglomerate. The Stout is now brewed in fifty countries! Had Arthur been alive to day- he would have been very proud of the sales figures, which run into hundreds of millions annually, but he would be even prouder to know that his special ingredient, whatever it is, is still a secret.